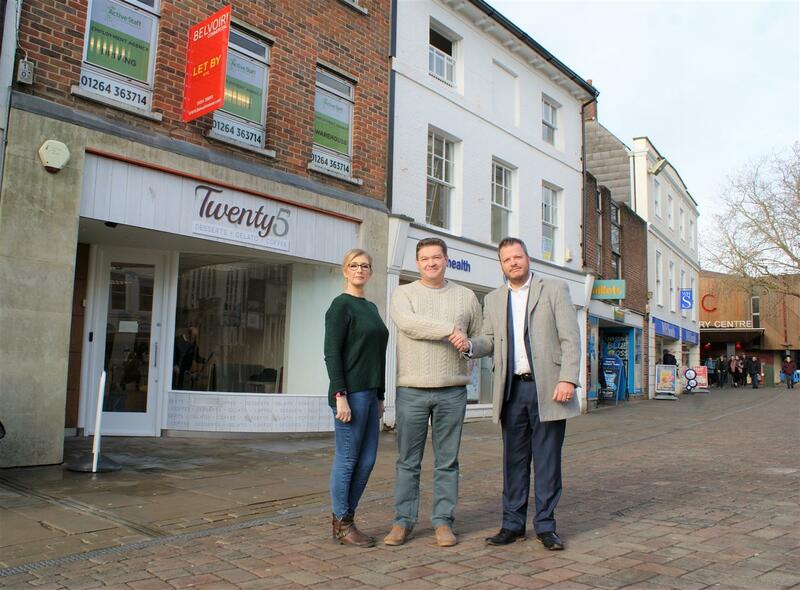 Belvoir Commercial are pleased to have secured a prime high street shop for local businessman Brian Chant, the proprietor of the fresh new Twenty Speciality Gelato Ice Cream & Waffle Parlour. Situated at number 25 High Street, Andover, the specialist dessert company will offer around 22 different flavours of ice cream as well as milkshakes, crepes, waffles, smoothies, coffee and more. Opening on Monday 18th February at 9am, who is joining us for a deliciously sweet breakfast?!?!? Photo here shows shop manager Dawn Tapp, proprietor Brian Chant and Belvoir’s Commercial Real Estate Director Greg Greatbatch. If you are looking for commercial space in or around Andover, please contact us to find out what we can do for you.